Explore the famous and exquisite temples of captivating Angkor by bicycle, then discover a water world of floating villages on Cambodia’s Tonle Sap Lake by boat. 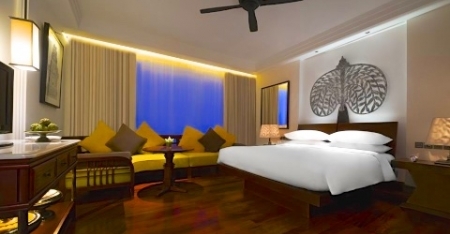 Uncover royal treasures in vibrant Phnom Penh, then relax by the seaside in an exclusive hideaway. 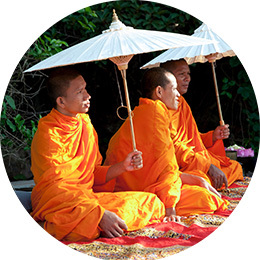 Cambodia - an exciting blend of ancient wonders and modern elegance. Rise early to witness the spell-binding Angkor Wat at dawn. 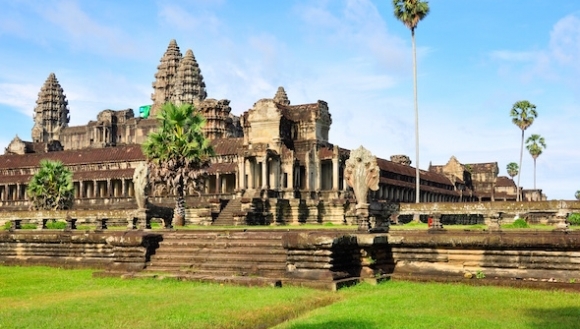 Angkor’s grandest and most inspiring temple is the perfect fusion of symbolism and symmetry. 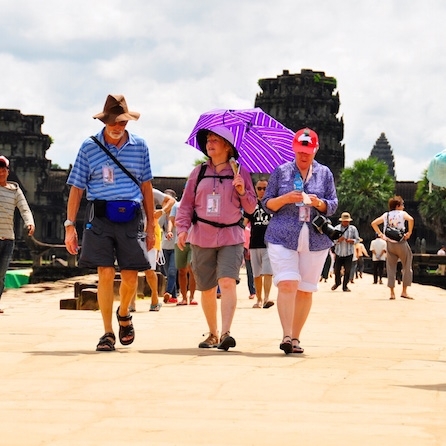 Approaching from the east through a forested path, Angkor Wat reveals herself to you. Enjoy the incredible spectacle of this majestic temple in the quiet of the early morning. An experience of a lifetime. 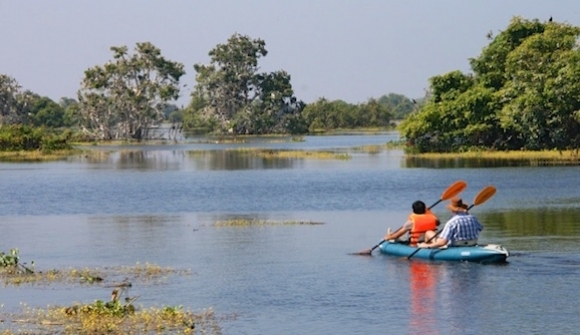 Paddle beneath the trees of flooded forests and tour villages of floating houses as you explore the great Tonle Sap Lake by kayak. Float between houses over what were once streets and then relax on the veranda of a stilted house watching local fishermen unload their catch. 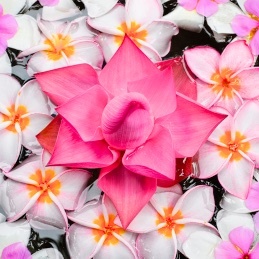 Enjoy a unique perspective of Cambodian life and culture. 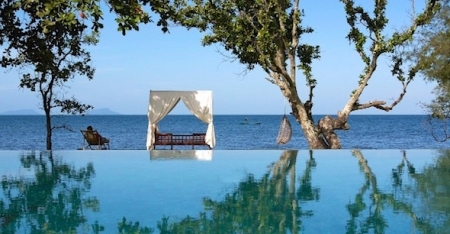 Leave behind the hustle and bustle of ancient temple sites and chaotic city streets for the serenity of the secluded seaside village of Kep. 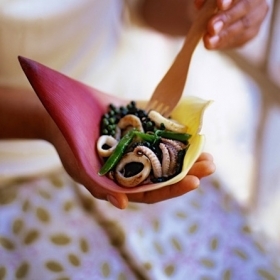 Once the playground of the Cambodian elite, the town is renowned for its superb seafood and sublime sunsets. 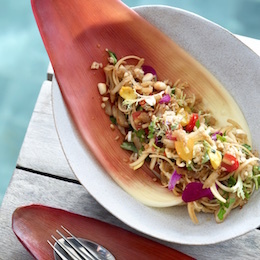 Linger over expansive views as you indulge in a sumptuous and famous crab meal. 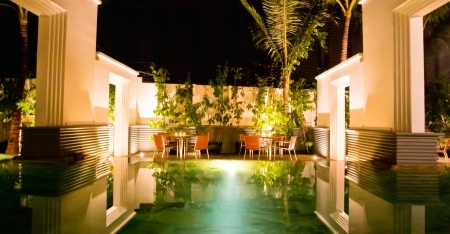 Arriving in Siem Reap, gateway to the temples of Angkor, you are transferred to your elegant hotel. 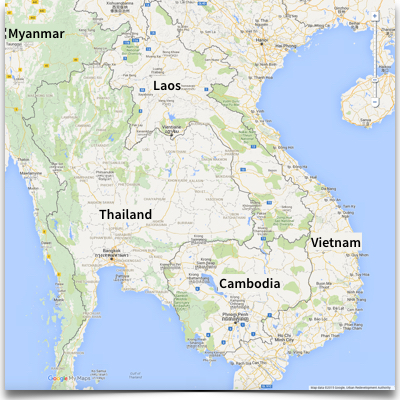 Your discovery of Angkor begins at the west gate of Angkor Thom. Travelling up forested tracks, visit the Royal Palace and Bayon temple and, at sunset, witness the setting sun cast interesting shadows on the array of carved faces. Your morning cycling adventure begins at the famous Ta Prohm, where huge fig, banyan and kapok trees grow throughout the temple. 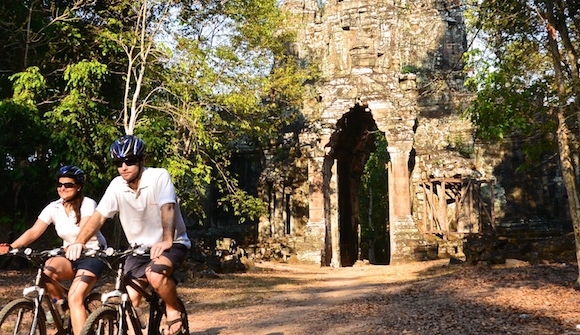 Cycle under the dappled shade of trees passing some of Angkor’s more intimate temples - step back in time. Later, paddle on the great Tonle Sap Lake over flooded paddy fields and forests, and venture through a stilted village by kayak. Rise early to witness the spell-binding Angkor Wat at dawn. Approaching Angkor’s grandest and most inspiring temple from the east through a forested path, Angkor Wat reveals herself to you - a majestic temple and incredible spectacle. Head for the jewel in the crown of Angkorian art, the temple of Bantaey Srei, and marvel at pink sandstone and fine stone carving. View first hand how life on Tonle Sap Lake has adapted to the rise and fall of the water as you experience an amazing motorboat journey across the vast Tonle Sap Lake. Crossing floodplains and passing flooded forests you reach Prek Toal, home to South East Asia’s largest bird colony. 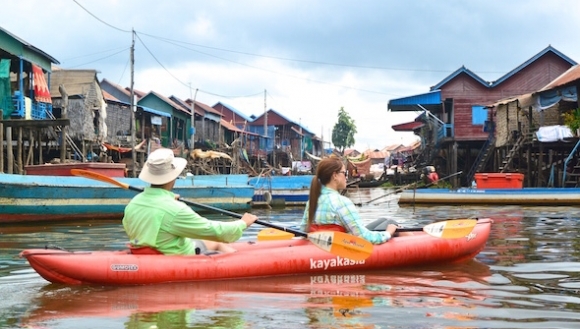 Spot for rare birds, then board your kayak to explore the floating village. Enjoy a unique perspective of the lifestyle and culture of Cambodian river villages. 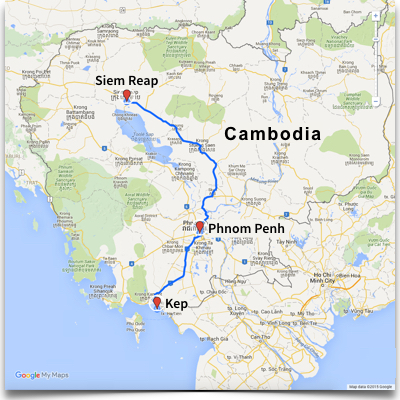 Fly today to Cambodia’s capital, Phnom Penh. Remaining one of South East Asia’s most fascinating cities, uncover charming French colonial architecture, explore the bustling Russian market and climb the grand staircase, lined with lions and serpent balustrades, to the sacred pagoda of Wat Phnom. Take a trip through the golden age of Cambodia as you uncover the jewels in the capital’s crown, the Royal Palace, National Museum and Silver Pagoda. 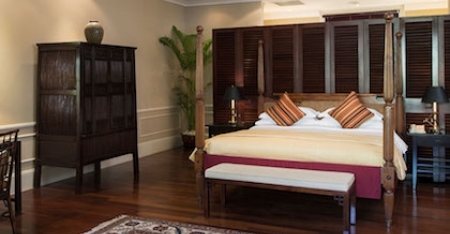 Following a sobering journey to Toul Sleng and the Killing Fields, sites of the Khmer Rouge atrocities, retreat to the luxurious Raffles Hotel Le Royal. 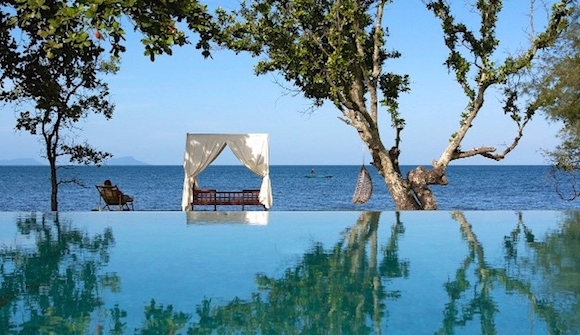 Leaving behind the hustle and bustle of the capital, head for the serenity of the secluded seaside village of Kep. 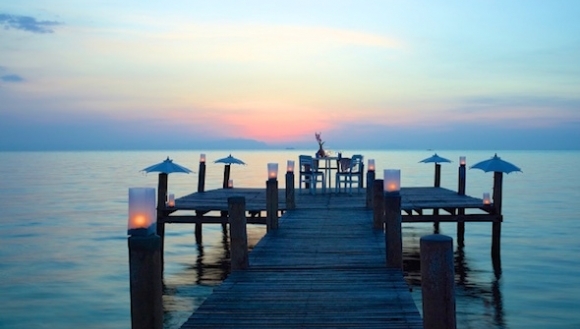 Once the playground of the Cambodian elite, this relaxed town is renowned for its superb seafood and sublime sunsets. Your private oceanfront retreat is Knai Bang Chatt, an exclusive collection of beautifully restored art deco villas with stunning ocean views. Choose your own pace today - an adventure by boat to Koh Ton Say (Rabbit Island), a tour of the local fishing village and famous crab shacks, kayaking along the coastline, or simply relaxing in a hammock by the beach. Complete your day with a sumptuous meal of fresh seafood before enjoying your final and, undoubtedly, most spectacular Cambodian sunset. 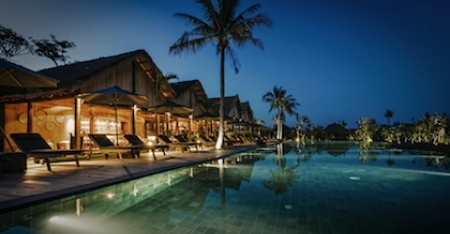 Stroll through the lush gardens with swaying palm trees, linger over the expansive views from the jetty, or simply relax in the cool breeze over breakfast before your luxury private transfer to Phnom Penh airport for your departure. 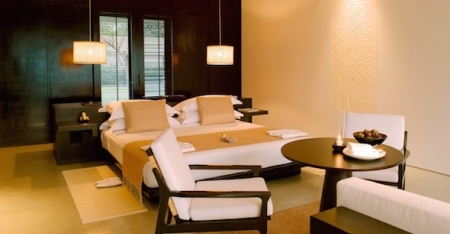 Siem Reap’s newest addition is the super stylish Park Hyatt Siem Reap. 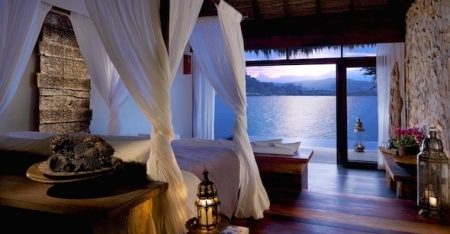 This elegant hideaway offers outstanding levels of luxury and world-class dining and spa facilities. 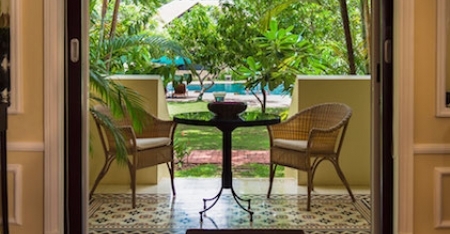 It is set around a tranquil inner courtyard with stone tiles, soothing water features and ancient banyan trees, providing the ideal environment to unwind and relax in after exploring the temples. 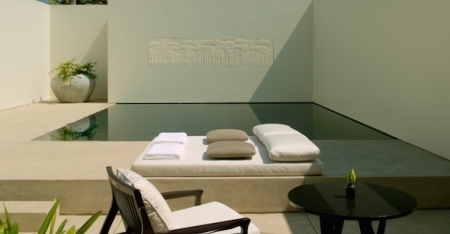 A former guest villa of the King of Cambodia, this tranquil and stylish retreat provides a modern interpretation of ancient Cambodia. 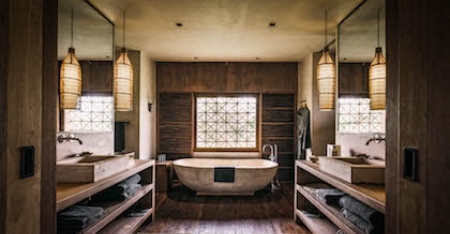 Surrounded by courtyard gardens this intimate 24 room sanctuary oozes minimalist style with stone floors, warm woods and large soaking tubs in the rooms, and private gardens, a sparkling stone tile pool and outdoor lounge areas to laze away the afternoon. 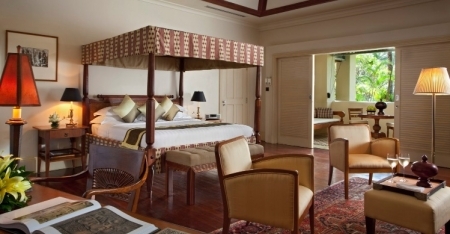 Relax in style and sheer luxury at the elegant Raffles Grand Hotel d’Angkor. This stunning colonial-era hotel offers outstanding levels of luxury and world-class dining and spa facilities. It is set around a tranquil inner courtyard with lush, tropical gardens and a stunning pool, providing the ideal environment to unwind after exploring the temples. An intimate retreat on the banks of the tree-lined Siem Reap River, Belmond La Residence d’Angkor offers an authentic Cambodian experience in the heart of the city. 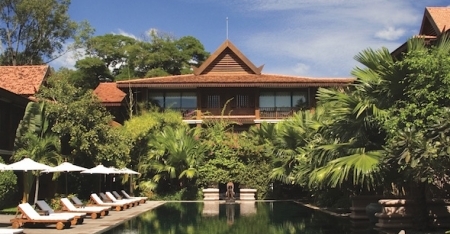 With the elegant teak and basalt of Khmer style architecture combined with peaceful gardens, inviting pool and luxurious spa, this is the perfect place to relax after a day of incredible sights and experiences. 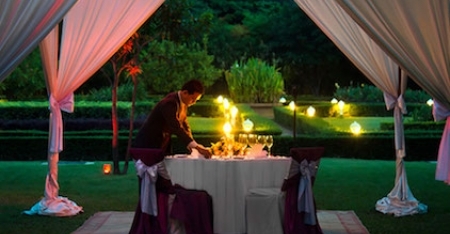 In an intimate and lush setting just outside Siem Reap you’ll find the elegant hideaway of Phum Baitang. 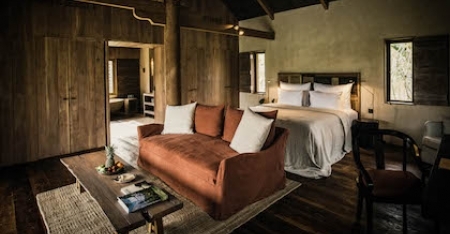 Wooden and stilted villas are inspired by traditional Cambodian design, giving guests an authentic yet luxurious experience. And after a day of exploring the wonders of Siem Reap, a visit to the sublime Spa Temple will relax your body and restore your senses. 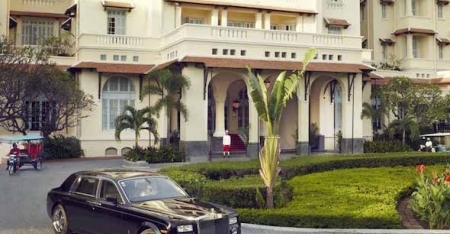 Infused with the vibrant history of Phnom Penh, the beautifully restored Raffles Hotel Le Royal is a haven of old world charm and modern Cambodian elegance. 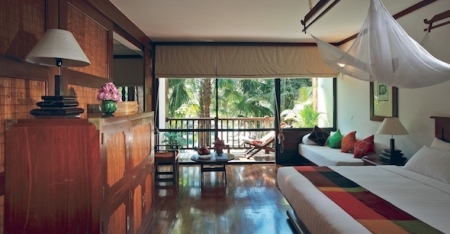 Rooms overlook beautiful tropical surroundings providing an oasis of tranquility. Having welcomed legendary guests, including Jacqueline Kennedy, this historic hotel is luxury fit for royalty. 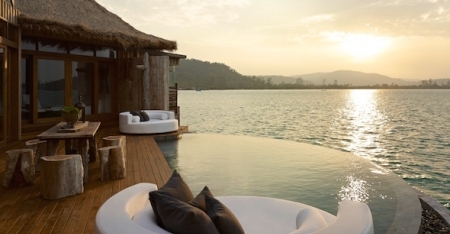 The exclusive seaside resort of Knai Bang Chatt was developed as an elegant and private sanctuary. 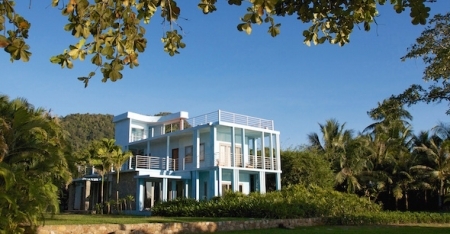 Oozing style and character, the art deco villas are reminiscent of Cambodia’s heyday. Stroll through lush gardens with swaying palm trees, relax by the seaside pool or soak up the sunset from your private balcony. 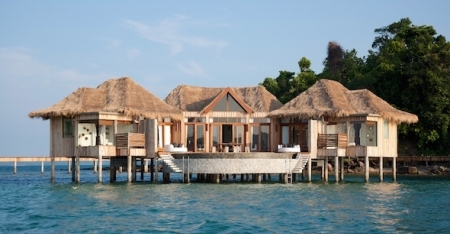 Set on a pair of exclusive private islands, reached by speedboat, is Song Saa – Khmer for ‘The Sweethearts’. As seductive as its name suggests, the resort haven features luxury over-water, jungle and ocean-view villas, all with private balconies. 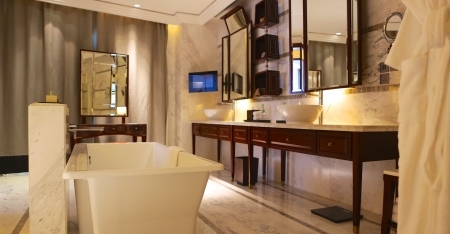 Intimate, luxurious - your stay will be an unforgettable treat. 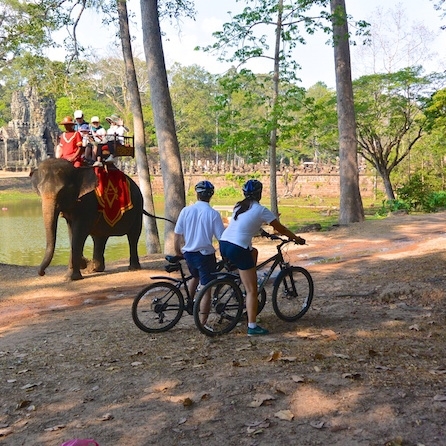 Discover the enchanting Ta Prohm by bicycle, where huge fig, banyan and kapok trees grow throughout the temple.